With Avalon, the View is the Whole Point. Avalon Waterways invites travelers to see for themselves the Avalon Difference...To experience the views they deserve when sailing the world's rivers. 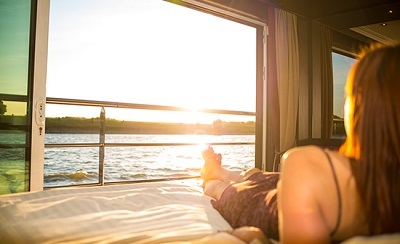 Unlike other cruise ships, most of Avalon's staterooms (971 of them) feature beds that face the windows and the incredible sights river cruising is famous for. 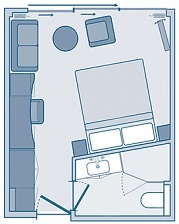 In fact, two full decks on every Avalon Suite Ship® in Europe and Southeast Asia offer travelers a unique point-of-view: One where the view is the whole point. Imagine a TV screen measuring 11 ft. wide and 7 ft. tall. That's what Avalon delivers...only better! Every Avalon Waterways' stateroom on two full decks of our Suite Ships features wall-to-wall windows, giving you panoramic, floor-to-ceiling views of Europe's awe-inspiring landscapes. 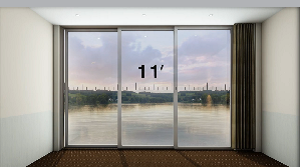 In fact, they are the largest standard windows in river cruising - 30 percent larger than the others out there. Avalon designed the industry's first (and only) Open-Air Balconies. 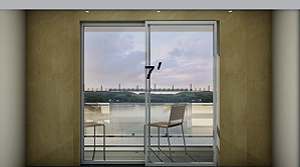 These wall-to-wall windows - in every Panorama Suite - open 7-feet wide and invite the outside to come in. And unlike traditional balconies, you can enjoy them year-round - at any time of the day, in any weather condition.